In the midst of the exams madness, I casted on a relatively mindless but very nice pattern I had been having in mind to try for quite some time. 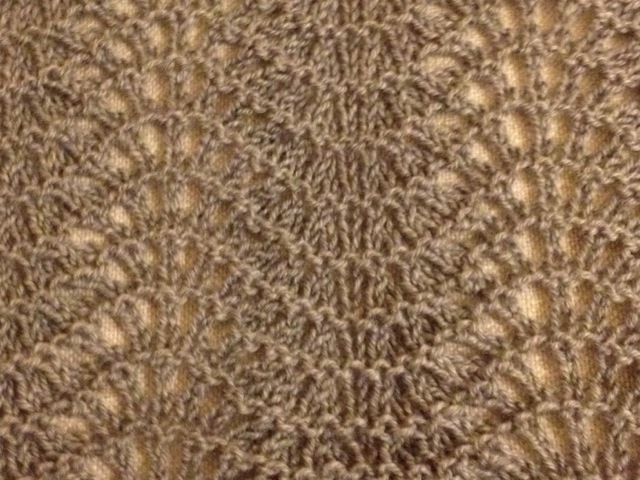 It’s the Old Shale Shawl by Amanda Clark, a shawl based, as the name indicates, on the Old Shale stitch pattern. It reminds me of the Spencer Dress presented in details in this Kate Davies’ post. I love that stitch: it is both traditional and modern at the same time. It has some lace-y parts but remaining an easy knit and earthy. Practical but beautiful. 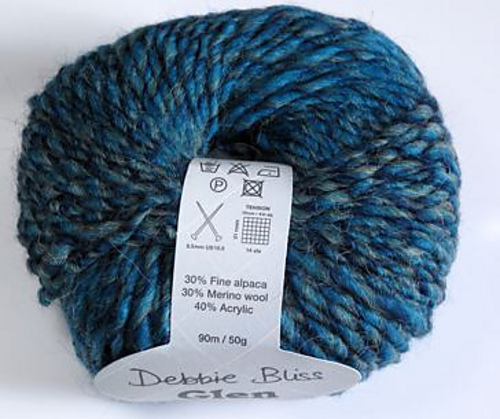 It also lends well itself to different interpretations – from variegated yarn to stripes or mono-colour, lace to worsted weight, aggressively to losely blocked. You’ll see many interpretations in the pictures shown on the Ravelry pattern page. Sadly, I’m having some issue with my phone camera at the moment, so I can’t upload pictures. The original pattern and photos can be seen on Ravelry’s page for the pattern by Amanda Clark. It’s a very popular (free!) pattern, as the pattern page testifies. 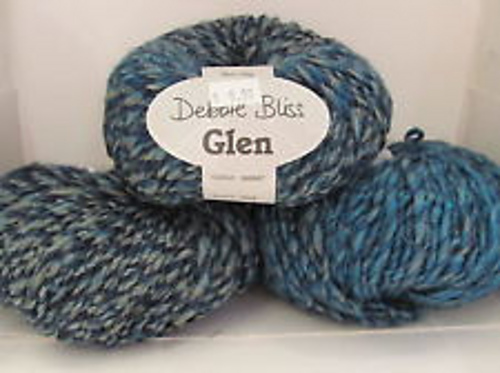 I’m knitting it on 6mm circular needles using Debbie Bliss Glen yarn in Kingfisher, with blue-green-grey tones – one of my favourite hues. Though, it could be knitted in almost any yarn weight and type, as gauge is not an issue and would only result in different sizes.